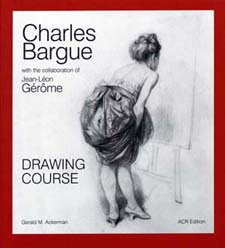 The Bargues Book (The Charles Bargue Drawing Course also called The Course Design or The Design Course) will now be available in its new 2nd edition from a close friend of The ClassicalRealist.org, Gerald Ackerman, (search for his many amazing books on Gerome and others - now unfortunately out of print) the "Godfather" of Classical Realist (yes Gerry i know you hate the term) scholarship. The second edition will be available only in Hard Cover at a price of $95.00. To pre-order yours e-mail the Dehesh Museum at museumshop@daheshmuseum.org.